VMware ESXi has Free and paid version. The free version is somehow limited, allows limited scale and cannot be managed via a central management server – vCenter. 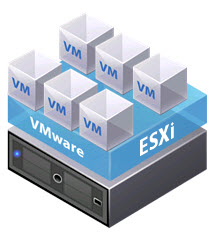 However, the Free ESXi (also called VMware ESXi Hypervisor) can connect to remote storage where a VMs can be created, stored and executed. It means that this remote storage can be shared between several ESXi hosts, but not the VMs. 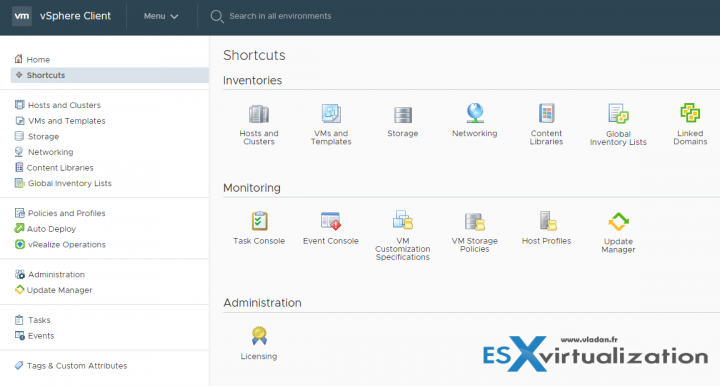 The VMs are owned by each ESXi so no central management possible with this option. VMware vCenter server is a central piece of software which allows central management of the whole infrastructure. From a single console, you can do pretty much everything. 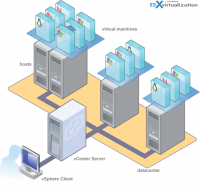 vCenter server can be installed on Windows, but also deployed as a virtual appliance (pre-configured VM) with a Photon OS (Linux) which is a very fast booting Linux distribution. This swap to the Photon OS is quite recent, where VMware used Suse Linux Enterprise Server (SUSE). 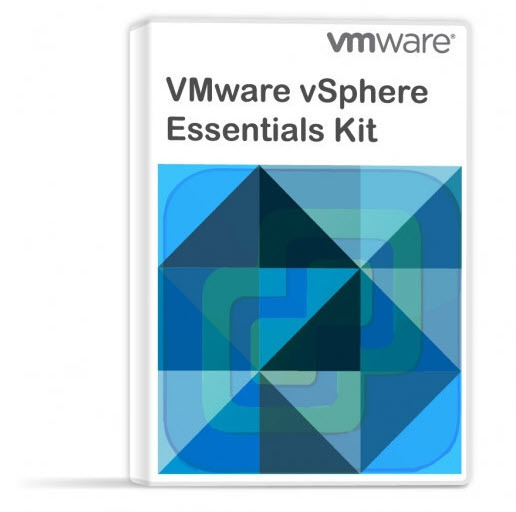 vCenter Server Essentials – As a part of vSphere Essentials, Essentials Plus bundle. This version of the vCenter server (also called vCenter Server Essentials) is good to manage up to 3 hosts with up to 2 physical CPU each. If you’re a small customer, you can imagine running comfortably about 60 VMs, then this solution might be well suited. With the “essentials” kit you got not only vCenter server license but also licenses for ESXi (3 hosts with up to 2CPU each). Standalone vCenter Server – The full-blown vCenter server, which can manage up to 2000 hosts with up to 25000 powered ON VMs. This is vCenter server license only. Shop for Different vCenter server editions here. vCenter itself is just one part of the licensing puzzle. You need to have a license for each of your connected ESXi hosts in order to manage them from a single central location. Those licensing has basically 3 different flavors (standard, enterprise, enterprise Plus) and it counts per physical CPU. So if you’re planning to have a host with 2 physical CPU, you’ll need to have 2 licenses just for that particular host. Depending on the licensing you apply, the infrastructure “unlocks” more features accessible via the vSphere Web client. Note that there is also vSphere HTML 5 client, but its functions are for now, limited. VMware continues its development. The Essentials is good for very small clients and clients who do not really need availability. Clients which can afford to stay “offline” for a day while doing hardware maintenance. On the other hand, having the possibility to migrate your VMs to another host and do host maintenance or patching, without interruption, gives you a real advantage. This can be done during business hours and users can continue to work. Also if there is an unplanned hardware failure, vSphere High Availability (HA) can restart automatically those VMw which failed when the host failed. Those VMs are automatically restarted on other hosts which are part of VMware cluster. There is small downtime during which the system figures out what the host has failed and which are the hosts that are able to start the failed VMs. Those hosts must have enough available capacity in terms of memory or CPU. Once this automatic decision is taken, the VM boots up. The whole process is completely automatic and acts without the admin’s intervention. As you can see, the VMware terminology is not so complicated and the difference between ESXi, vSphere or vCenter are not that hard to learn. We have also some deep dives and how-to articles which are part of the vSphere 6.5 (or vSphere 6.0 page, if you’re still on vSphere 6.0). VMware licensing is quite coherent. While the hypervisor itself is free, with limited functions, it’s clearly difficult to put such a host into a production environment without taking a risk of a data loss. The Free ESXi is meant to be used for testing environments only. Only with a reliable and solid backup solution which allows to backup running VMs, it is possible to move workloads into production and say that at any time you can restore if anything goes wrong. the malware and crypto locker was never more active than today and it is not only targeting individuals but also enterprises. What to do when all your data are encrypted by some crypto-ransomware? The only way, without paying the ransom, is to restore from the backup location. That’s why is important to backup, but also to copy the backed up data to a secondary location. Use VMware Learning credits to purchase VMware Exam Vouchers. (VCA, VCP, VCAP/VCIX), so the learning credits are kind of universal as you can buy exam vouchers, training classes, or even professional services. Note: VMware Professional Services Credits and Learning Credits may be redeemed to purchase certification exam vouchers. Vouchers are redeemed through third-party testing provider, Pearson VUE. Check VMware learning credits at VMware. Thanks. Clear explanation. I only have a question about the payments. Esxi is perpetuel. 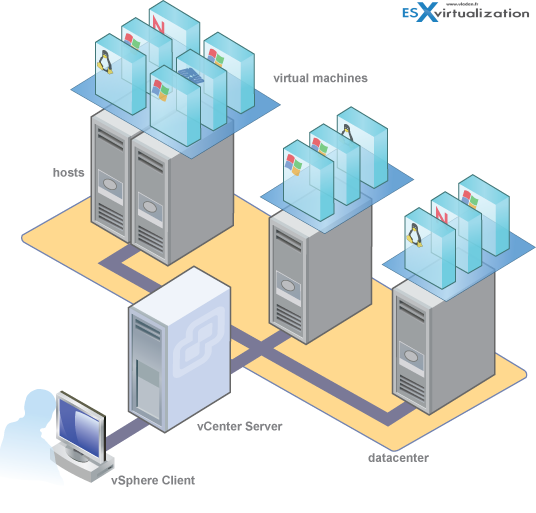 What about vcenter or lets say vsphere? Can I buy it once and it will stay forever just like esxi? Yes, those licenses are perpetual. With one exception, for Essentials term and Essentials plus term licensing, which are limited in time (12 months). I have 2 licenses for 1 CPU, how to assign the 2 licenses for 1 cpu to 1 asset? because my server have 2 cpu. vSphere Web client > Home > Licensing > Manage your licenses > Assets TAB > Hosts TAB > All Actions > Assign License…. THANK YOU for the breakdown! VMware n00b!